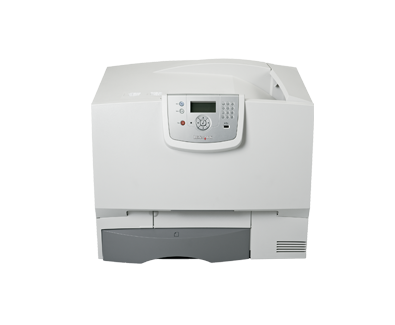 The Ethernet-ready Lexmark C772n offers high quality color output at speeds up to 25 ppm (24 ppm A4) and a variety of paper handling and special application options. Specialized and general office printing is consolidated on one printer supporting the optional StapleSmart Finisher, duplex, up to 3 optional drawers, banner (supporting up to 8.27 x 48", 211 x 1219mm), outdoor media, labels and other specialty media. This printer can be easily tailored to an array of business needs through the selection of input and output paper handling options, wireless, wired or fiber network connections, and unique optional application solutions for forms, IPDS, bar code or encrypted data printing.